Glad to see you here at about us page. https://soshareit.com/happy-birthday is a web blog started with fun guys to make your loved ones Birthday special. 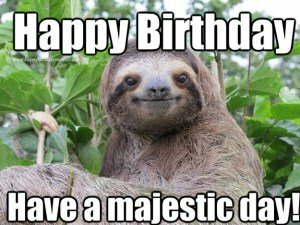 Here we provide awesome collections of Happy Birthday Meme which you are free to download and share anywhere on social media. So, get funny happy birthday meme from our collection and make your friends birthday laugh.